Today I went in my parents’ loft for Phase 1 of operation ‘Grow up and shove your own s*it in your own loft’. In addition to seeking out a box of my university books, I was also hoping to discover some other treasures. Perhaps that lovely compendium of games I could pass onto my younglings, vintage fairy tale books, some dusty vinyl record sleeves we could laugh at in front of a roaring open fire (if we had one)? What did I come down with? Well, in addition to the box of books: a hotbrush, some picnic forks, a first aid and fire extinguisher car kit, a Hamleys toy snake from my Britney Spears I’m a Slave 4 U fancy dress costume and a Mr Hankey the Christmas Poo soft toy from South Park. I’m not sure that I like what these items say about my life before I had children. I suppose Mr Hankey puts a literal spin on the project name! Ha! 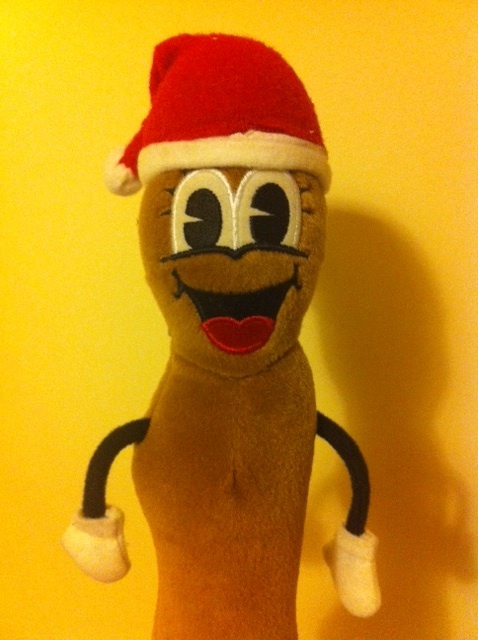 Recently cleared out a cupboard here and out fell Mr Hankey’s Christmas Poo AND Cartman. Neither of which were mine so got thrown out 😉 Always feels good!